Now is the time when we are expecting not one addition to the family but two. Spaced apart within one month I am going to be an Uncle to two kids. One for the younger sister and another for my brother also younger who will welcome the new kid into the family. And I went writing this in a space of a week in between one angel has already arrived on this earth and is now the cynosure of all eyes. Now waiting for the other to give a tough challenge to this angel, though they shall be miles apart in distance the charm will be felt everywhere. Looks like I was trained to do the bit of baby sitting, when I attended the Pampers event during the WIN 15 at JW Sahar hosted by Blogadda. That was a great show a very nice event which set the tempo by none other that the favorite Mandira Bedi on stage and the experts sharing their expertise and a blogger added to the list. 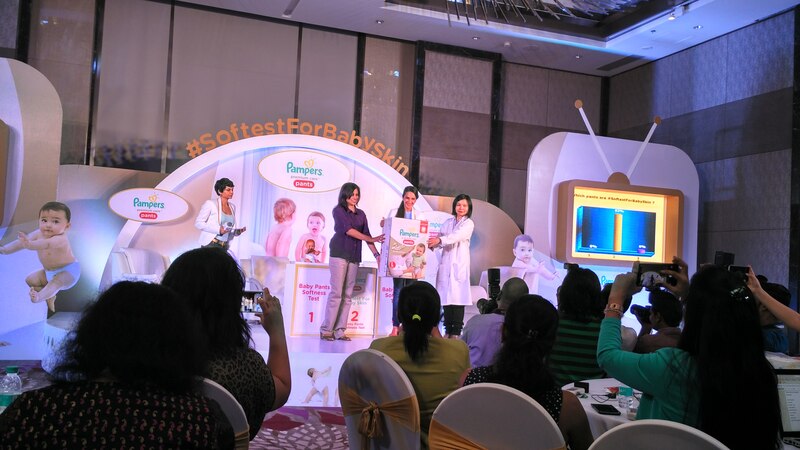 We had a live test, blind test to check which is the softest and viola over 90 % of the people got it right and the unveiling was the first time in India Pampers Premium care pants. Ok as I was pondering over all these, we had prepared a lot for the kids homecoming. So let me go one by one for the soft skin that we want for our children. Coconut oil: Do a bit of research around you and find if you can get hand on pure coconut oil from the mill. 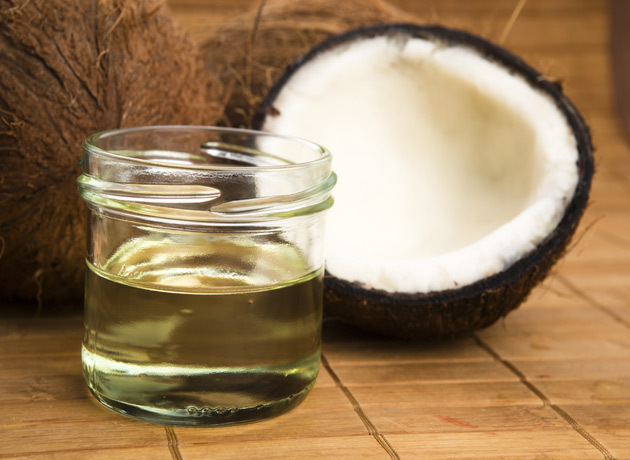 Coconut oil is one of the best softeners and moisturizers in its pristine form. So I was lucky to have my friend who keeps loading me with 4 litres every year from his farm which is only used for hair care. Now we are getting that for the baby care. The best will be virgin coconut oil, clear and pure as it can get. You can oil the baby once in two days, the new skin of the baby needs enough moisture and has to be perfect dry a balance that a coconut oil can deliver. It helps from preventing rashes and keep the skin smooth. You could also try Lakshadi Coconut Oil which is made for kids. Green Gram Powder: (Payaru Podi) So this is one more home made and traditional stuff that was done at home. 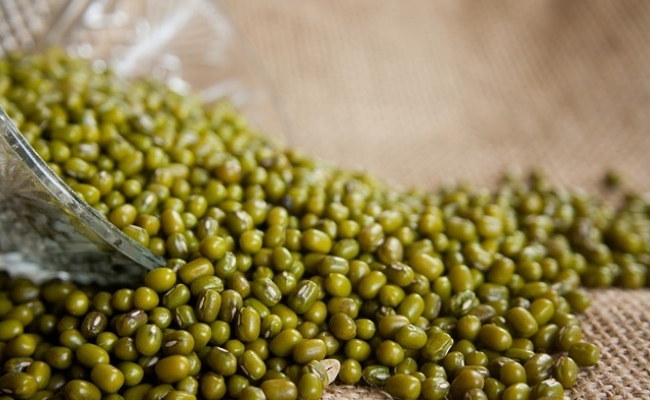 All you need is plain green gram. You can also add the following few tulsi leaves, a bit of turmeric (kasturi manjal) – very small piece when you grind them. Ofcourse wash them clean and dry them in the sun for a day or so. Don’t peel off the green gram, when you have dried it enough, then grind them to a fine flour. Once done store it in a dry clean air tight container. Mix it with plain lukewarm water, add rose water for better effect during baths. We can start using them from 15 days after birth. Cotton clothing: Use soft cotton clothing loose fitments and preferably with knots and no hooks and buttons or zippers. They will be less friction on the baby skin. 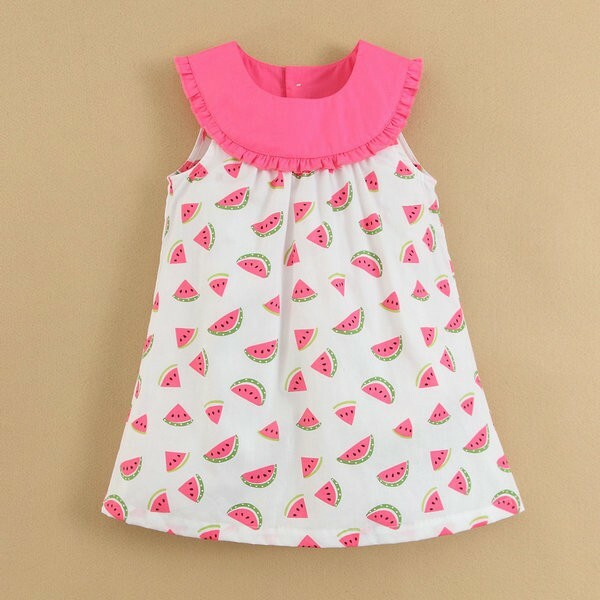 Use new clothing after a good wash. You could use your bathing soap to wash to make the cotton clothing more softer when you wash the kids clothes. Always use cotton clothing that will make the skin breathe very easily. We have now a dozen set of cotton wear for the kids! Sun care: Sun care is an important part of keeping the skin healthy for babies. If you intend to get the baby used to sunlight do so in the early mornings when the sun rays are not straight and when they are soft and just the light without the heat attached to the sun. Please avoid going out after 10 and till say 4 pm and stay indoors and have an amply lit and ventilated room for the baby. This will ensure better skin care both smooth and fair. You could use sunscreen that are meant for baby skin and test for any allergy before using them. Pampers: While I have been dallying with traditional methods and this time I am gonna set the best solution especially this is very sensitive part of a baby, the nappy area . With new diapers from Pampers who know kids than anyone else, you could be rest assured on this front. They have only getting better by the day so much so we have an indicator for us to remind that the diapers are due for change in a day. Now you know how easy it is to care for your kids and let the skin be dry and clean. Am adding a couple of do’s for you to get the best for your baby. As a general rule of thumb, you could change your baby’s nappy either just before or right after each feed, after every bowel movement, before bed and when they wake up after a long sleep. It may also be worth putting a fresh nappy on them just before setting off for an outing. If you are wondering what is the sixth idea, that’s again Pampers! Repeat that without fail. The times have changed and so too is the way the kids’ demand. As much as you think they are pretty little kids who would not demand much more you are mistaken. The arrival of the kids is one of the most awaited moments at home and then there is such a vibrance of energy with everyone that they try their best to be the kids best pal. Obviously its the mom and sometimes the dad who take the spot unless there are more relatives in the household. The best part is the time they choose to sleep and it could be the day or night as they fancy. The ritual has changed with the Pampers Dry Baby Pants. They are pretty secure in the sense that the kids feel so happy about. It shows in the way they move unlike when they weren’t wearing the Pampers. Probably the dryness add to their sense of comfort all night or all day when they are out playing or just about to doze off. They are their best friends especially when going out. The kids don’t feel the wetness more so helps to keep them clean and healthy. You can actually make out from the kids face if they have got the Pampers protection. So to get the baby to his favorite things to do, probably the first thing is to be on a Pamper dry pant and his joy knows no bounds because he knows he can do anything he wants. Play, dance and freely wander around the house. The best part is about the Pampers diapers is, this is designed with babies in mind. They come with lotions that moisturises and nourishes the baby skin. That actually helps the baby from rashes and roughness which are associated with diapers. A magic gel layer helps absorb liquids and keep the surface dry up to 10 hours giving the kid the comfort and pampering that he deserves, well add to that they come in all sizes and remain dry through the night or day. 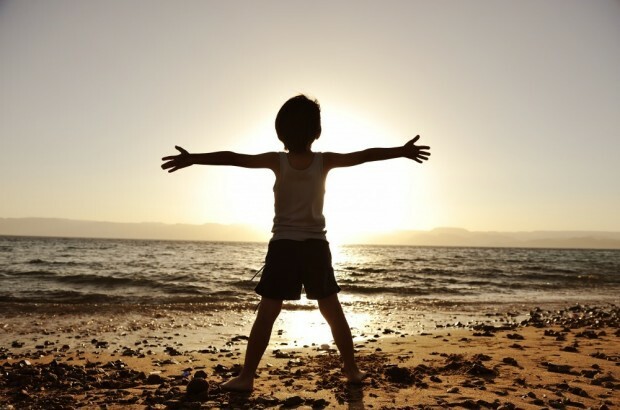 There is a change in the way the kids are happy and they way they go about their playfulness or being cute. It all perhaps starts with the right diapers and get pampered in that so all the worries are gone. You don’t have to think about the diaper part. Leave it to Pampers. So the next time you think about the diapers its not just about the dryness on the outside that matters, its actually the dryness on the inside. And you will know how much difference it will make. I am reminded of the kids song when you are happy and you know it clap your hands, and it so true with Pampers. When the kids are wearing Pampers, you know it and of course the baby will clap his hands.